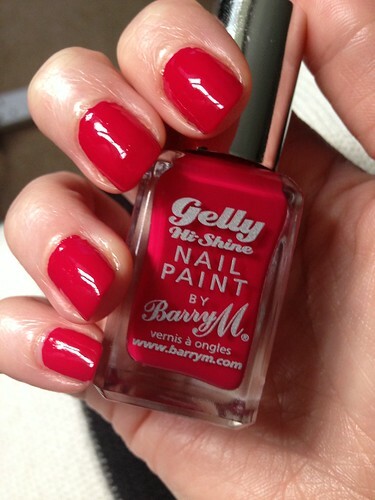 Despite not being overwhelmed by the Barry M Gelly paints previously (see post here) I decided to give them another try when after a browse of the counter days later I was still thinking about the colour Pomegranate and thought they deserved a retrial on my natural nails. Second time around I was much more impressed. The shine is certainly there and I was able to apply just one coat to avoid the thick consistency I didn't enjoy from their last outing. Again it was a challenge painting my own nails, especially in a darker colour than my previous attempt (see post here). There was one disappointment, the colour. If I'm honest I'm looking for a raspberry shade and whilst I knew this wasn't the colour I have in my head (please tell me I'm not the only person that designs something in their head that may or may not exist!) it did appear pinker in the bottle yet once applied was more red, and don't we know I have no need for any more reds in my collection! That aside Barry M is back in favour and I think it's highly likely that more paints from their range will find their way into my collection. 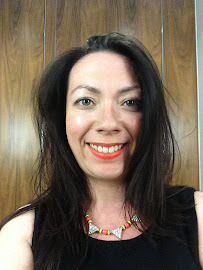 And if you have any recommendations for the raspberry colour I seek - please send them my way. Although I love the Gelly polishes, I think the colours in the range are quite poor. So far. HOpefully they'll extend it. The colour of the nail polish is lovely! Love your blog its so cute and sophisticated. I think this colour looks really beautiful on you, but I know what you mean about feeling a little disappointed when the could isn't exactly as you had hoped or wanted. I love the high shine finish! This is a great color, but definitely on the red side!